Writing Behavior Plans - I Love ABA! Disclaimer: The information in this post is intended to be a general guide to writing a behavior plan. Behavior plans, like FBA’s, must be an individualized, needs-specific process. As a parent or professional, please avoid “paint -by -number” guides to writing behavior plans. Like most professionals, I do follow somewhat of a template when I create behavior plans. However, it’s just a basic shell for me to individualize depending on the client. Various funding sources (such as different insurance companies) will have different requirements of how they want the behavior plan to look, so again, trying to stick too closely to a formula definitely wont help you. Besides, the creating is the best part! What is a behavior plan? A behavior plan is the last step in the FBA process. 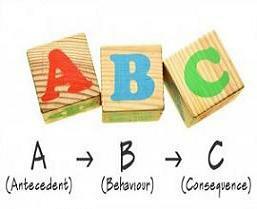 When dealing with any behavior you want to reduce, a FBA is completed to determine the function of the behavior. Once a function is determined, then a behavior plan is created. ABA professionals also use the terms Intervention, Behavior Reduction Strategies, or Plan of Action. Teachers may use the terms Behavior Intervention Plan, or Positive Behavior Support Plan. We are both describing the same thing: a behavior plan. * Some agencies or school systems will write behavior plans for appropriate behaviors that need to be increased, such as manding or greeting peers. In my experience, skill acquisition goals, or programs, are used for appropriate behaviors, and behavior plans are used for inappropriate behaviors. The FBA describes why the behavior is happening, and the behavior plan is the strategy for what to do about the behavior. Neither is complete without the other: skipping straight to behavior plan writing is essentially making a guess about what might work. Completing a FBA and then failing to write a behavior plan is a waste of time, resources, and (possibly) money, because you have a function for the problem behavior but no plan of how to reduce it. The FBA and the behavior plan are meant to go together…think of them as peanut butter and jelly. That depends on the setting. A parent can create a behavior plan for their child, to implement in the home. A teacher can usually create a behavior plan to use with a student; although various schools have policies on how/when a behavior plan can be written. In some schools, only Behavior Analysts or the School Psychologists can write a behavior plan. At other schools, teachers can complete the entire process. 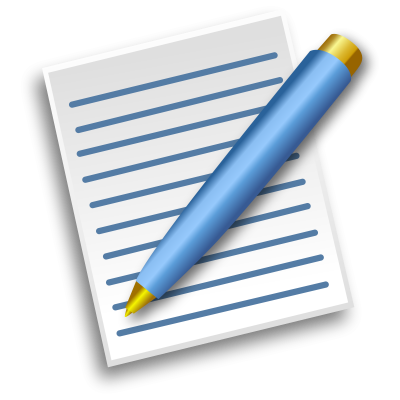 An ABA professional, usually at the BCBA or BCaBA level, can write a behavior plan if there is a demonstrated need for one. The setting and the severity of the problem behavior will determine who can write the behavior plan. How do I write a behavior plan? The good news: It’s not as hard as it sounds. The bad news: It can be an intricate and lengthy process, and may take some time to get the hang of it. Experience is the best teacher, and the more behavior plans you write the easier the process becomes. The standard components of a behavior plan include: demographic/identifying information, client history/background, problem/target behaviors including an operational definition, function of the behavior (this comes from the FBA) including actual data, strategies to decrease the problem behaviors based on the function including replacement or incompatible behaviors, data collection sheets/graphs to monitor the success of the behavior plan. Sure! Below is a sample behavior plan for “John Doe”, with an explanation of each component. Use this as a basic guide or learning tool. The school or company you work for may have behavior plans that look very different from this sample…that’s normal. Even in the same company, behavior plans can vary depending on the funding source. History: John is a 31 year old Cuban-American male who resides in a state licensed community residence in Norcross, GA. He resides in the home with two other male residents, one of whom is a recent addition. John is a friendly and sociable person, who enjoys watching TV and visiting the community pool. John has a history of elopement, emotional outbursts, and anxiety. John sees his psychiatrist every 3 months, and is on a limited sodium diet. John’s challenging behaviors had been latent since March of 2012, and have recently increased in frequency. The most recent behavioral event occurred in August of 2012 when John attacked a staff member during lunch time. Staff members at the residence report that John’s challenging behaviors often occur randomly, and for no apparent reason. Staff states that John will be calm and quiet, and then will suddenly lash out. This behavior plan was created based on John’s history and current behavioral problems, and to ensure that staff members are aware of the protocols that must be kept in place to support John. 1. Physical Aggression- Defined as John attempting to or successfully punching another person with a closed fist, or slapping with an open palm against the body of another person. This behavior typically occurs when John is given a demand. 2. Vocal Threats- Defined as John making inappropriate expressive statements directed towards others, pertaining to causing physical harm. This behavior does not include when John is "scripting" dialogue from a TV show or movie. Function of Behaviors: Based on the results of the FBA (see attached), John is most likely to engage in physical aggression or verbal threats when staff member Kevin is on duty. Frequency of physical aggression or verbal threats increased by 75% when Kevin was present. John is least likely to engage in physical aggression or verbal threats when he is engaged in a preferred activity, or interacting with staff member David, or staff member Bobby. The hypothesized function of both the physical aggression and the verbal threats is attention. Currently, the staff only give direct statements or conversation to John during daily routines, such as telling him to make his bed or turn off the TV. It was observed that in a 5 hour period, no reinforcement or praise was given to John. When John exhibits problem behaviors, staff will speak in a loud tone of voice, sit near John, or talk to John to calm him down. It was also observed during the FBA that the non-targeted staff members will often run into the room when John begins exhibiting problem behaviors, and 2-3 staff members will simultaneously attempt to calm John down. Behavioral Strategies/Intervention: Staff member Kevin will switch shifts with staff member Lonnie, so that Kevin is working at night when John is asleep. Staff member David had the least amount of aggression directed towards him (3%), and he appears to be very reinforcing to John. Staff member David will be the main staff assisting John throughout the day, and will watch a 30 minute TV show with John 3 times per day. For every 10 minutes that John is calm and quiet, he will earn one token. At the end of 30 minutes if John has at least 2 tokens then he can earn extra TV time, or select a staff member to take him to the community pool. When delivering a token provide behavior-specific praise with eye contact, such as “Great job reading quietly, John”. If John exhibits problem behavior, use blocking and a 2 person restraint hold to maintain safety. Avoid direct eye contact with John, and use minimal language with a calm tone of voice. No other staff member should be present except the 2 staff members performing the restraint hold. If John begins making verbal threats, do not respond. Do not engage John in conversation or argue with John. Once John is calm and has stopped making threats, provide eye contact and redirect John to an appropriate activity. Data Collection: See attached ABC data collection sheet, in order to monitor the success of the behavior plan. Data should be collected daily for at least 45 minutes, across staff members. Functional Assessment Observation Form- This can help with the FBA process, as well as gathering background/history information. ABC data sheet- Sample ABC data collection sheet. Functional Assessment to Prevent & Remediate Challenging Behavior in School Settings by Chandler, L., Dahlquist, K.
I love your blog it's amazing! So much time and effort has clearly gone into your posts. We have a four year old boy with Lots of attention seeking(I think from reading this post) behaviour and your suggestions will help me help him! Keep blogging please! My post on FBA's called "FBA Part II: Function of Positive Reinforcement" might also be very helpful if your son is exhibiting attention seeking behaviors. Love your blog and your passion in ABA!!! Thank you! I learn a lot from you! Thank you so much. I am a third year CYW student.